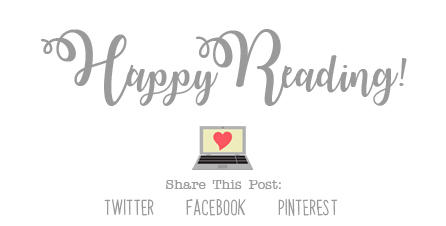 99 Percent Mine by Sally Thorne was one of my most anticipated reads for this January, and I am SO thrilled to have read the book! I was a little late to the party for reading Sally’s previous book, The Hating Game, but I read it last December, and absolutely LOVED it, so I couldn’t wait to read this new book as well. 99 Percent Mine was SO good you guys!! I am all about reading super cute books at the moment, and everything about this book was SO super cute. The characters were adorable, and the storyline was addictive and easy to follow, which made this the absolute perfect book that I needed in my life right now. The main character, Darcy, was so interesting. I wish there had been a bit more information the book about her travels over the years, as I was super curious about all the things she had seen and places she had been. It’s so interesting! I definitely related to her a few times throughout the story as well. Tom, the love interest in the story, was definitely the perfect man, even though he totally hated to be called that. The relationship between the two was super cute, and I enjoyed watching the romance build up and blossom between them as the story went along. The chemistry between the two was absolutely perfect. 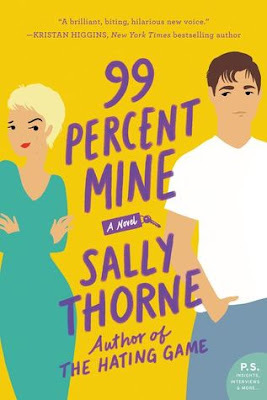 Overall; Sally Thorne has another hit on her hands with 99 Percent Mine! I really enjoyed everything about this story, and if you loved The Hating Game, I think you will like it as well. And, if you haven’t yet checked out either of these books, and you’re a fan of cute romances, I do recommend both 99 Percent Mine AND The Hating Game! I hope you love them both just as much as I did.